Here’s what’s happening in the world of television for Tuesday, March 19. All times are Eastern. The Flash (The CW, 8 p.m.): The Flash doesn’t time-travel well. Note the lack of italics there. 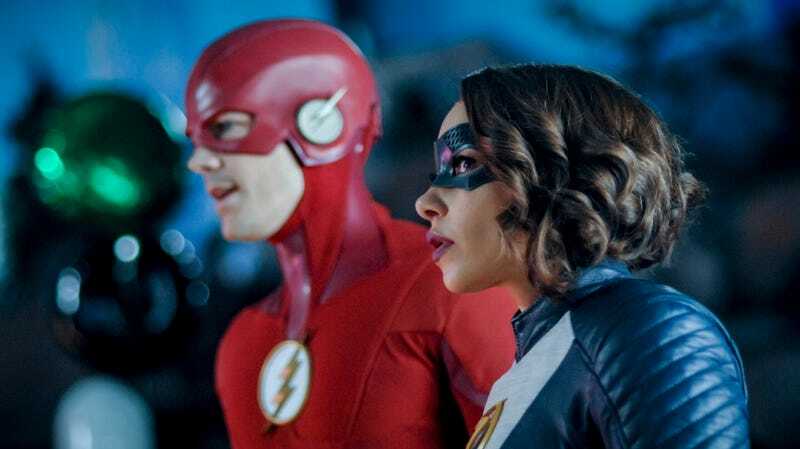 That’s not a dig on the show—The Flash has told some ripping good time-travel yarns, and sure, a couple clunkers too—but instead a dig on the character. Barry Allen erased a whole kid out of existence, as just one example. And it would seem that maybe that quality runs in the family. Barry and Iris’ future-kid is about to come clean, and Scott Von Doviak will be on hand to make note of any discrepancies in the timeline. The Village (NBC, 10:01 p.m., series premiere): Y’all like This Is Us? Here’s This Is Us, apartment-building edition. Grab your hankies, if that’s your thing.